Dobbing stands for “double or bust” it is a Betfair trading strategy used on the horse racing markets. The Dobbing Betfair strategy involves backing a horse pre race and having a lay bet matched in-play at half the odds of the initial stake. The aim of a Dob (double or bust) bet is to make a profit that is even to your stake essentially doubling it. Lets take a look at an example of a potential Dob bet. In the above image you can see that I have put in a potential back bet of £100 on Bonnie Gals at odds of 5.00. I have also placed a potential lay bet of £200 at odds of 2.5. If both of these bets were matched you can see that this would equal a profit of £95.00 (£100 – 5% commission) across all outcomes. If the lay bet is not matched in-play then you would lose your stake, this is where the bust part of the name Dob (double or bust) comes from. Dobbing essentially works like a straight betting method where you are getting odds of 1.95 ( After 5% commission) on every bet. How to find a good Dobbing Horse? The double or bust strategy is one that is quite popular so there are a number of good resources available online. 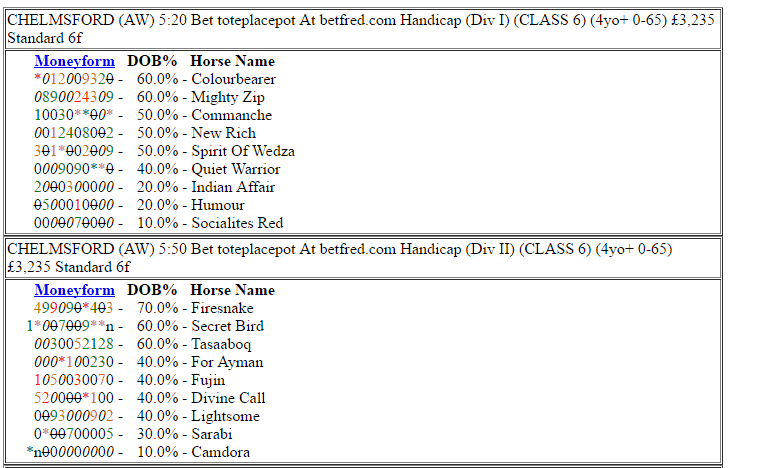 Patternform for example has an excellent page showing you the historical percentages for horses that have dobbed in the past. An example of the Patternform Dobbing overview. This is a good starting point when looking for a horse that will potentially Dob in-play. There are several factors to take into account when choosing horses that will be a successful Dob trade. For example you might look at filtering horses that have historically dobbed 75% of the time, look at whether they favour specific courses, Are they likely to lead the race? Weather conditions? Do specific odds ranges work better? 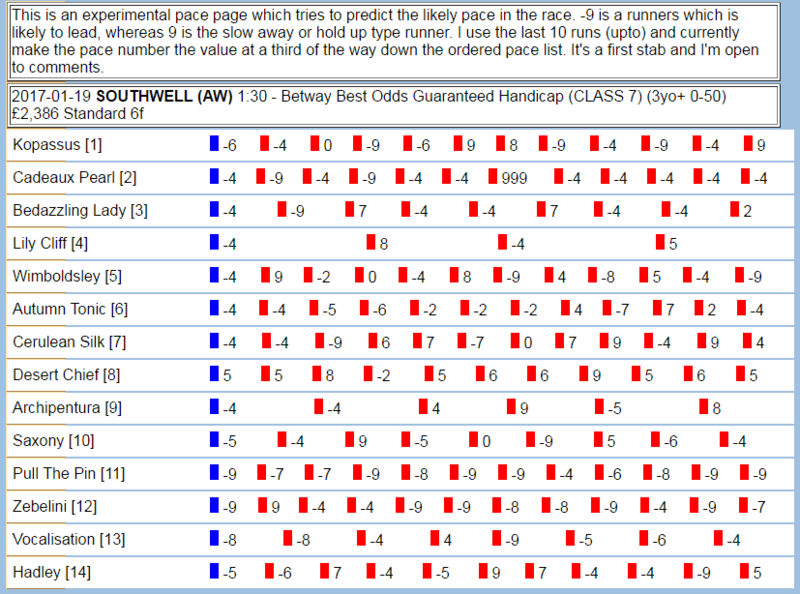 The pace card is another excellent resource from Patternform which gives you an indication of likely front runners in a race. There are a few different variants of this method with some people opting to try to take more then 100% profit on there stake and others taking less. The most common method however seems to be for people to aim for basically an even money bet minus the commission. Dobbing can be a profitable angle to consider when looking at trading the horse racing markets and might be something to consider having in your trading arsenal. Accumulator Betting Tips – Can accumulators be profitable? Decent article Patternform is a great site. That’s pretty cool. Didn’t know that Patternfrom coined the term double or bust. Think you right to about changing it from DOM. Domming doesn’t have the same ring to it really.